I was playing around with my french tip nail vinyls the other day and was inspired by a mani I saw by @nailsbynemo on Instagram, where she had done a dotticure over vinyls. Her dots were much more spaced apart, and in different colours to mine. I started with a white base and place two french tip cured nail vinyls at different angles on each nail. Next, I pretty much did dots on top of dots on top of dots over the top of my nail, including the vinyls, trying not to leave too much white space at all. Once that was dry I decided to stamp over the entire nail. I used white polish and stamped using a crazy zigzag design from Lily Anna Plate LA08. 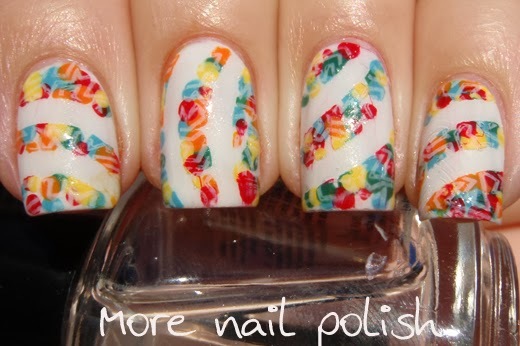 I then pulled the nail vinyls off and noticed that I had created a very floral looking design. The stamping on top of dots made it look like I had painted the petal shapes into it. What do you think? Do you see flowers here or is it just me? LOL that's awesome!! I love it!! 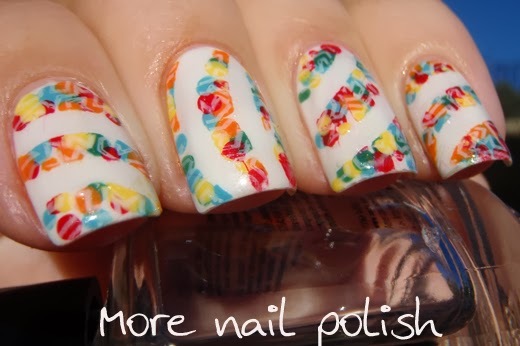 definitely florals, yes! very lovely. I see flowers too, it looks cool! 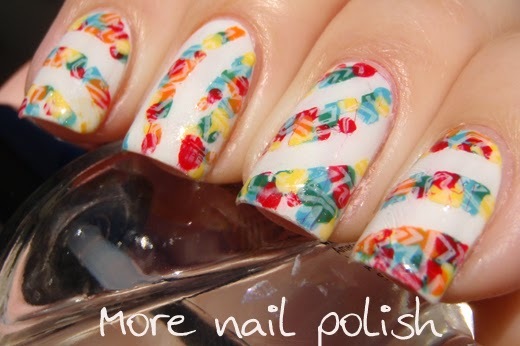 I actually thought the french nail vinyls were floral tips and was wondering why I couldn't see the stamping and dots. LOL! This is really cool. These are great and so cool how you spaced them out. I totally thought you made flowers on purpose! I wonder if it would be hard to recreate since you did not mean to make it this way. It is beautiful. Wow, wow, wow! 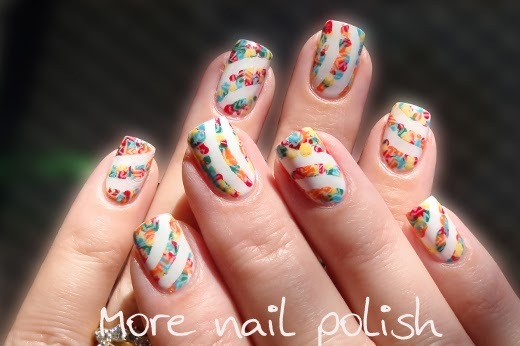 Could you make the tutorial of this nail art, please? 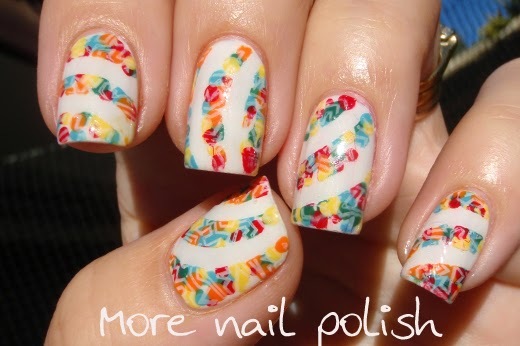 It's a great nail art in Spring. I seriously thought they were flowers. Soooo cool!! Love the concept and the execution is perfect!